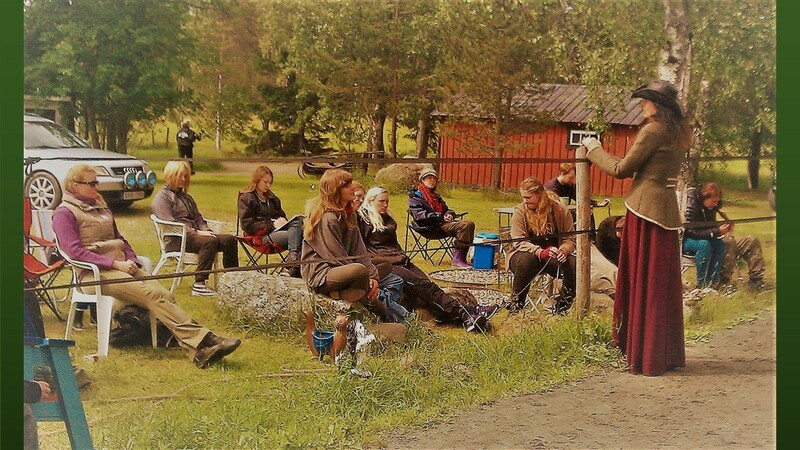 Ewa Schaeder give clinics at home in Umeå and education, lessons as well, together with her horses. The horses share their knowlege and are active in the part of educating. Contact her for further information. See under contact. Possible is also Skype, phone lessons etc. through different media. You are very welcome to contact and ask her about the alternatives in having education though you live far away. If you come to her farm there are certain rules to follow that Ewa will let you take part in. 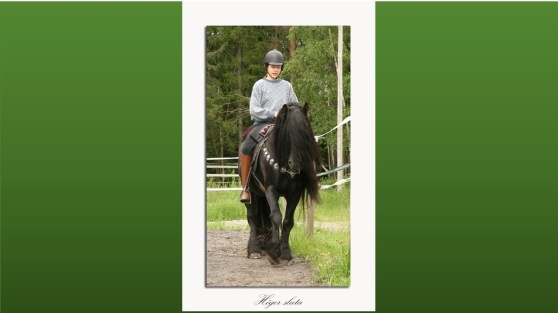 You can have your own horse with you or if you have lessons on her school horses the horse will choose you and what it is you are presented with. 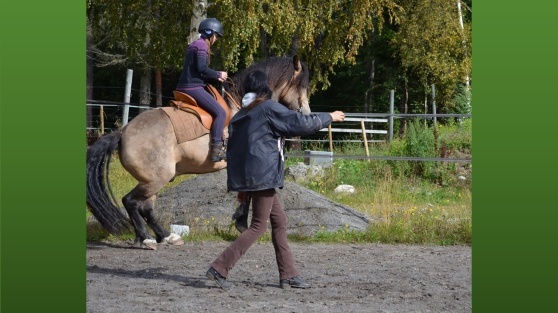 The horse is the teacher and Ewa is there to guide you.